Congratulations on being the Sound of 2014! How does it feel? It feels incredible. I’m so involved in the charts, I love pop music and I love female pop artists. With this award, Florence and the Machine, Ellie Goulding and Adele have all been on it, which is incredible. Even to be a part of it is amazing. What was the first song you learned the words to? It was Aretha Franklin’s Say A Little Prayer. Cameron Diaz sings it, really badly, in My Best Friend’s Wedding. Great film. I love Julia Roberts. There’s a diva quality to your voice – is that sort of music the inspiration? Congratulations to Sam Smith for topping the BBC’s Sound of 2014 list! The 2-5 spots went to Ella Eyre, Banks, Sampha, and George Ezra, respectively, and Sam also beat out Chance the Rapper, FKA twigs, Chloe Howl and others. 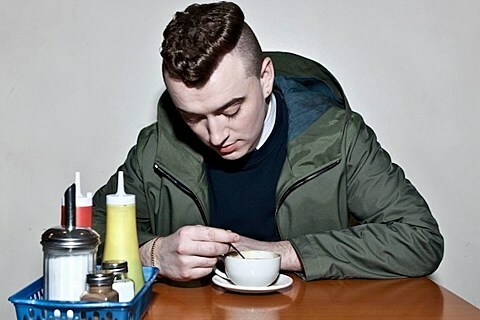 Sam first gained widespread attention when he contributed his vocals to Disclosure‘s “Latch” and he’s since begun releasing some impressive solo material which will culminate in his debut album, In the Lonely Hour, due out on May 26 via Capitol Records. As discussed, Sam is going on a North American tour soon which hits NYC on March 24 at Webster Hall. Tickets for that show are on sale now. All dates are listed below. In related news, another group of Disclosure collaborators, London Grammar, will be in NYC much sooner for two sold-out shows next week at Baby’s All Right (1/15) and The Box (1/16). They’ve also since announced that they’ll perform on Late Night with Jimmy Fallon on January 13. London Grammar’s shows wrap up the day before Disclosure begin their sold-out three-night Terminal 5 (1/17-1/19) run (DJ afterparties at various venues included). Considering Sam Smith and Jessie Ware made unannounced appearances at Disclosure’s last NYC show, it doesn’t seem like a coincidence that London Grammar are here the same week.